The shooting of Mike Brown reveals an ugly truth about the relationship between black America and police. 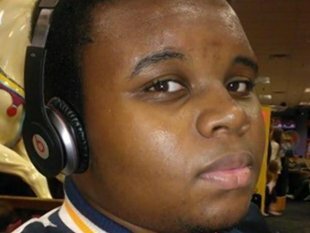 From what we can tell at this point, Mike Brown, the unarmed 18-year-old teenager shot dead by police in Ferguson, Missouri, did nothing to justify his fatal shooting. In fact, we aren’t sure exactly why police confronted Brown to begin with. According to recent reports, he wasn’t given due process. Black people in America know the rules of police engagement: guilty until proven innocent. AlterNet previously reported that police kill a black man in the U.S. every 28 hours. If we were to factor in black women, the disparity would likely be even more glaring. Too often, any conflict can lead to physical violence or even death. Eric Garner, of Staten Island, NY, was accused of selling cigarettes and his frustration with what he felt was an unfair arrest got him wrapped into a chokehold that took his life. That Garner said, “I can’t breathe” seemed to mean little to the officer who squeezed the life out of him. Then there was the case of Arizona State University professor Ersula Ore who was beaten severely by a state trooper for allegedly resisting arrest for a jaywalking violation. Back in 2012, off-duty police officer Dante Servin shot Chicagoan Rekia Boyd dead, after reportedly confronting Boyd and her friends over loud music coming from a house party he accused them of attending. Boyd was unarmed. What is consistent with these cases, and many others like them, is that violence seems to be the primary solution to deal with any black person who gives the slightest hint of resistance. Pepper spray, Tasers and non-lethal force don’t appear to come to mind when dealing with people of color. The facts surrounding Brown’s death are still being gathered but what is clear is that there is an all-out attack on the black community. As the St. Louis Post-Dispatch reported, African Americans in the state of Missouri are 66% more likely to be stopped and searched by police than whites, according to 2013 statistics provided by the State Attorney’s office. While these figures reveal a disturbing patern in the state of Missouri, it is certainly not exclusive to the Show Me state. These figures reveal a disturbing pattern suggesting that aggressive racial prosecution and profiling of people of color has to be given a closer look. We must also address our personal biases. As AlterNet recently reported, whites are more likely to support harsher criminal justice policies if they disproportionally target black people. It would not be a stretch to ask whether many men and women in uniform share these views. In the case of Mike Brown, it would be fair to wonder if the officer who killed Mike Brown saw his skin color and felt no due process was necessary. Cecil Lytle, a UCSD provost (Marshall College) and world-class pianist, once told me he’d been repeatedly stopped as he made his way to campus. I did a story on Ed Lawson, stopped and cited for disorderly conduct 22 times (some of them leading to jail) here in San Diego, only because he wore dreads, and walked at night, admittedly to achieve that record as a means of pointing out SDPD’s practice. At least they weren’t shot and killed or choked to death.